From meditation to skin care, these famous men have spoken out about prioritizing their well-being. The once female-dominated mindfulness movement is being embraced by more men, who are welcoming self-care rituals, adopting skincare routines and downloading meditation apps. Prince Harry and wife Meghan Markle chatted with a Buddhist monk on a January 2019 charity trip, where the prince admitted he meditates every day, as reported by the Daily Mail. 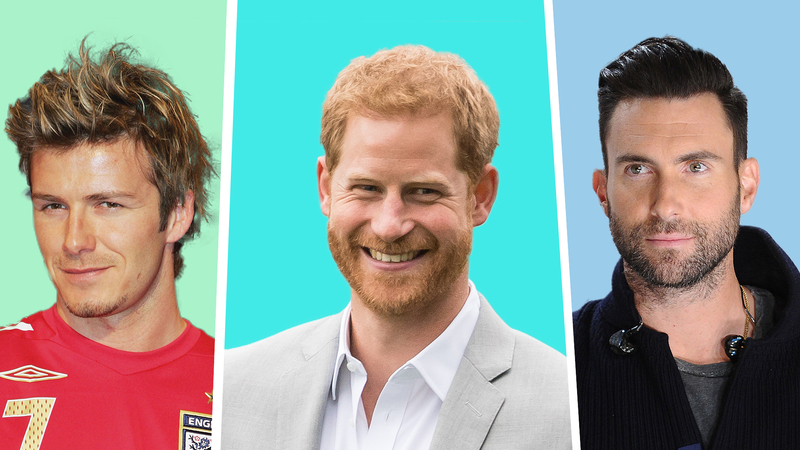 Prince Harry has made news in the past for speaking out about mental health and prioritizing his sleep by wearing a tracker — and his meditation practice is the most recent way he’s putting his well-being first, and being unapologetically vocal about its importance in his life. “For me, grooming is not only about how you look, but how you feel,” David Beckham said in an interview last year promoting his male grooming line, in partnership with L’Oreal. The product collection, marketed to “upgrade every step of the modern-man’s routine” aims to prove that self-care can, and should, be a priority for men as well. The former professional soccer player launched the line on the premise that beauty rituals are for everyone — and embracing a beauty regimen goes deeper than surface-level. “It’s about being comfortable trying new things and shaping your look,” he said.